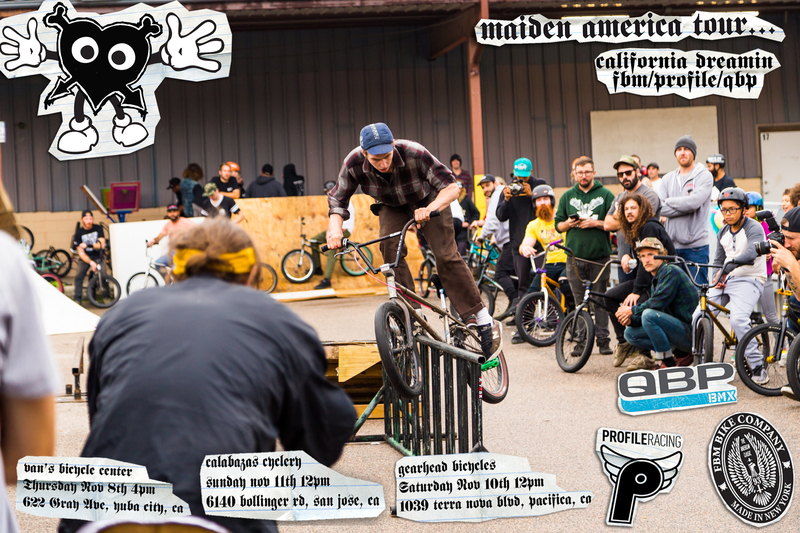 Maiden America – Pump Track Worlds! – FBM Bike Co.
Maiden America – Pump Track Worlds! FBM Will be joining the Santa Cruz locals for the 2nd ever Pump Track Warld Championships at Harvey West Pumptrack on Tuesday November 13th from 3pm til dark! For the rest of the tour The crew will be roaming the NORCAL area (dates below) – we rented some Chrysler Town and Country’s to visit the land of milk and honey, with Profile and QBP! Come out and hang with the crew, FREE WIFI and VIRTUAL PIZZA! Next Next post: Sup with Declan Murray?